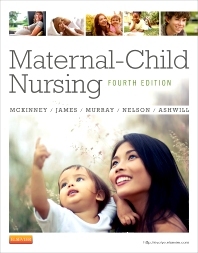 Ideal for accelerated maternity and pediatrics courses, Maternal-Child Nursing, 4th Edition is filled with user-friendly features to help you quickly master essential concepts and skills. It offers completely updated content that’s easy to read and understand. Plus, active learning tools give you the chance to practice applying your knowledge and make learning fun! Critical Thinking Exercises allow you to apply your knowledge to realistic clinical situations. Nursing care plans assist you with applying the nursing process to plan individualized care for the most common maternity and pediatric conditions. Critical to Remember boxes summarize and highlight essential, need-to-know information. Communication Cues provide practical tips for effective verbal and nonverbal communication with patients and families. Clinical Reference sections in pediatric chapters present information relevant to each body system, including anatomy and physiology, differences in the pediatric patient, and related laboratory and diagnostic tests.